If you have a tooth or teeth that are severely cracked or broken, this is beyond doubt considered a dental emergency, and you should contact a 24-hr. dental emergency service. If your tooth is mildly chipped, broken, or cracked, then you may have a dental emergency. If you are suffering severe pain in a tooth, this may also be considered an emergency, as this may be a sign of an abscessed tooth. In all cases of doubt, contact an emergency service for counsel. 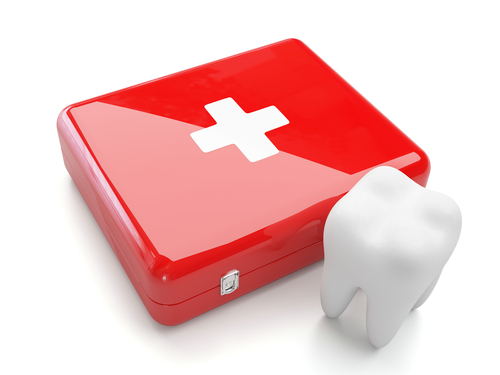 How Do I Contact An Emergency Dental Service? If you need emergency dental care, or if you are in doubt as to whether you need emergency care, contact Family Dental Care Center’s 24/7 emergency service at 484-791-2138. We specialize in dental surgery, as well as cosmetic dentistry, and serve the residents of and surrounding Lansdowne, Drexel Hill, and Aldan. What Can I Do Before I Reach The Emergency Team? If you have severe tooth pain, there are things you can do to relieve the pain before reaching an emergency team. Gargling and swishing with warm salt water can help alleviate tooth pain. The best way to make salt water is to dissolve a teaspoon of salt into boiling water and to gargle with it after the water cools down. One can also use apple cider vinegar, which has the added advantage of germ-killing properties. Biting down on a cotton ball soaked in lemon extract or peppermint extract can relieve pain as well. If one of your teeth has been knocked out, handle the tooth delicately. Be careful to touch only the outer enamel of the tooth, and not to hold it by the root. If it is possible, you should first try to reinsert the tooth into its socket. Try to keep it from moving using a cotton ball or piece of gauze until you can reach an emergency care service. If this is impossible, keep the tooth preserved in either a glass of milk or your own saliva (if possible, hold the tooth inside your own mouth, taking care not to swallow it). To stem the bleeding, trying using a wet compress. If a tooth has been knocked out, try to reach a dentist within 30 minutes of the injury. However, the tooth can still possibly be salvaged if more than 30 minutes pass. If you are bleeding, apply pressure to the injured area with gauze or other material for 10 minutes, or until the bleeding has ceased. Apply an ice pack to the face near the location of the injured tooth to relieve swelling or pain, and/or take an over-the-counter pain reliever. If you are not able to reach a dentist immediately, you can use temporary dental cement to cover and protect the injured tooth. Temporary dental cement can be purchased at a local drugstore, Walmart or CVS. In addition to 24 hr. emergency dental services, Family Dental Care Center also specializes in wisdom teeth removal and root canal therapy. We serve the residents in and surrounding Lansdowne, Drexel Hill, and Aldan. If you are in need of care or have any questions, call us today at 610-623-7610.